GoDaddy, the renowned domain registration company also offers hosting solutions but whether do you really need to get an account with them to host your sites? Check out our GoDaddy Hosting Reviews where I tested their famous $1 per month plan. The first and best positive of GoDaddy is that it offers simple payment options that make it easy for people pay for their services. 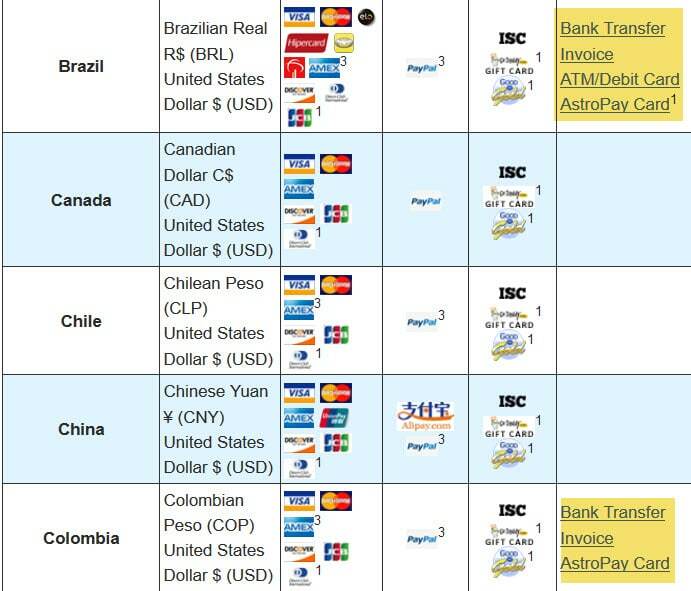 In most developing countries, the credit card penetration is low so people tend to buy hosting on local hosting companies where the services are terrible to the core. 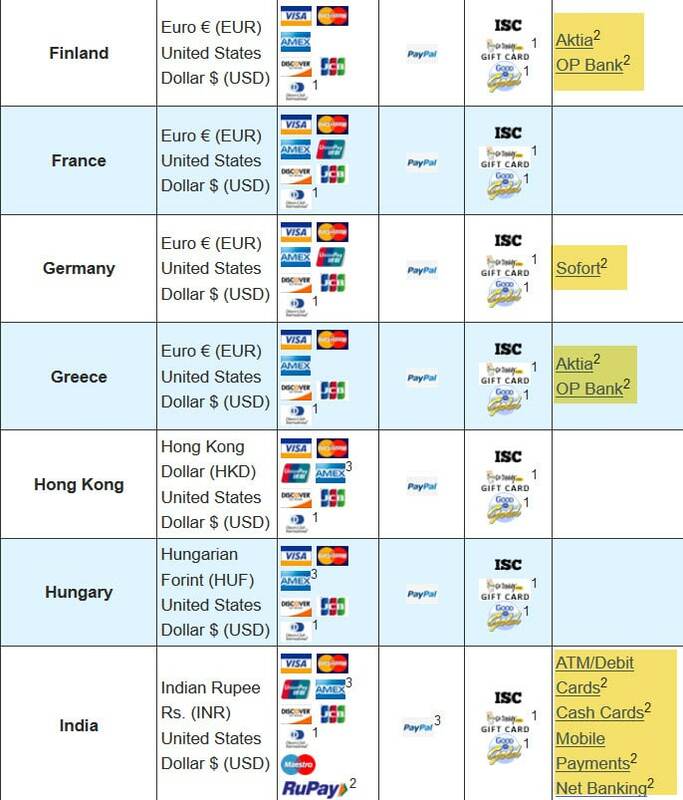 But GoDaddy offers localized payment gateways for countries like India etc where people can buy get an account simply with debit card. Once you land on GoDaddy website, you'll find their service is very affordable and easy to work with. You can get services for as low as $1 per month. The cheapest option is the Starter package that offers one website and 30 GB of storage and unmetered bandwidth. If you search on Google as "GoDaddy $1 hosting" you can find the offer details. However, I request you to read the article completely to know why I don't recommend GoDaddy for Hosting even it offers free hosting. GoDaddy use cPanel which is something good considering the fact, GoDaddy Managed WordPress hosting dashboard is something difficult to work with. Thankfully, GoDaddy retained cPanel for general web hosting package. The response time offered by GoDaddy was tested at around 915ms. While most companies like SiteGround offers ~350ms and A2 Hosting offers ~170ms response time, GoDaddy is cloaking at 907ms though its better than some other companies present in our list. One of the biggest problems that GoDaddy has entails how it does not offer a free SSL. GoDaddy focuses mainly on selling domain names and web hosting services without necessarily focusing on free SSL. You need to pay an Whooping $74.99 per year to get standard SSL and below is the price chart found in my GoDaddy dashboard. I feel pity bad for the people who upgrade their hosting plans with SSL while most hosting companies in our list offers free SSL and FastComet, one step ahead offers Globalsign SSL for free of cost. GoDaddy only has a 99.9% uptime rating. 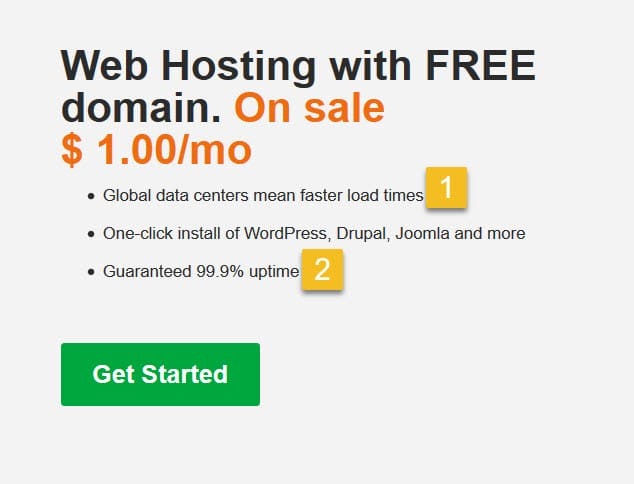 This is much less than the 99.99% that so many other hosting services offer. The rating measurement is based on a review of downtime incidents over a six-month period. About two to three downtime events take place in a typical day. Fortunately, those downtime periods will only go for about 60 seconds to two minutes at a time. Another upsell put on customers head. Our top hosting companies offers free backup and restore for example, FastComet charges $2.95/month and SiteGround charges $3.95/month including backup options. 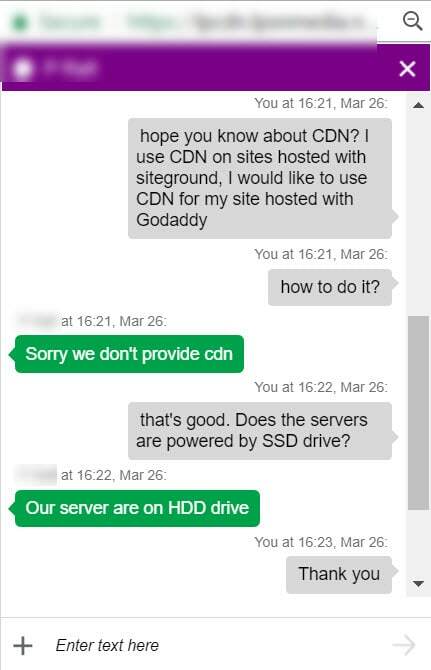 GoDaddy does not support SSD hosting and moreover, there is no way to use CDN with GoDaddy even paid plan. The customer confirms so. Research states that GoDaddy does have a number of datacenters around the world. These include datacenters in Chicago, Phoenix, Amsterdam and Singapore. However, users do not have the option to work with one desired datacenter above all others. 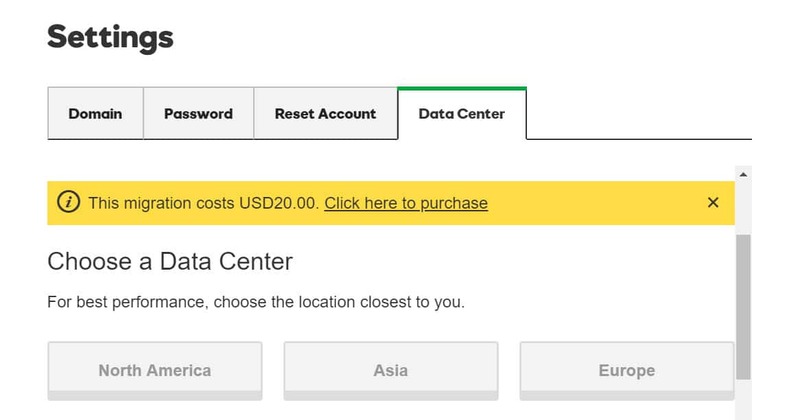 As on default, my websites are assigned to North America datacenter and I found an option in cPanel to change datacenter location to Europe or Asia but costs an additional $20. Suppose if your site visitors are from India and South East Asian countries, you need to host your sites in Asian datacenter like Singapore for better page load times. 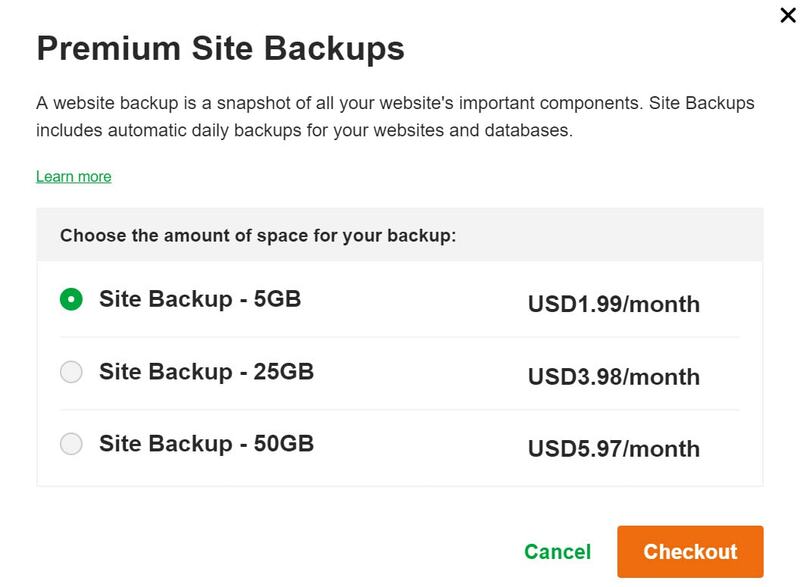 If your planning to get an account with GoDaddy, you need to purchase the hosting first by paying some $2.99/month and then again you need to pay $20 to change your datacenter to Singapore. Another way is to get an hosting account with any other company listed here and even before paying for hosting, you can choose your desired datacenter location. GoDaddy advertises as 24X7 customer support but I can see its only through phone and chat seems to be offline and I predict the chat will be live only during productions hours. Apart from it, I found there is no ticket system ( if I'm wrong correct me) in my dashboard. Nothing more to say, you should move your sites to GoDaddy on your own with the help of tutorials. One of the biggest flaws with GoDaddy, you don't get nameserver details when you get an hosting account. I had my demo site domain registered at Namecheap and I need GoDaddy nameservers to point domain to server. 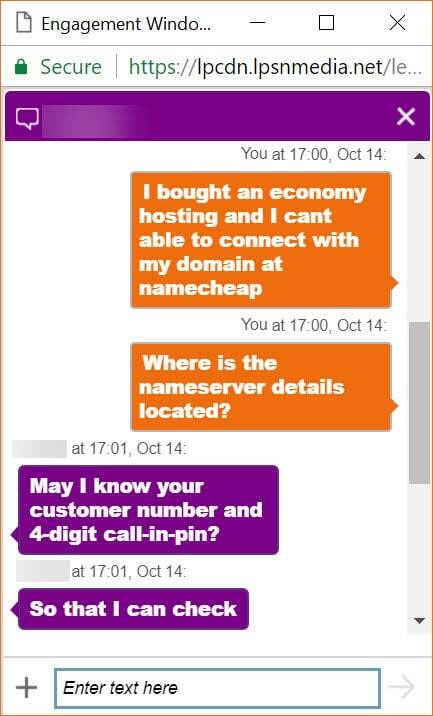 I never ever found a company that hides nameservers and When I tried to contact customer support, they shared the nameservers and I asked whether everyone who gets an hosting account with GoDaddy needs to contact customer support to get Nameservers? The answer ​is YES. Although GoDaddy has many features that help you with getting your site hosted well and numerous options for coverage, the service is weak in terms of its performance and support. You will not have much control over what you can get out of the system that GoDaddy uses. Apart from it, everyother thing charges extra ( SSL, Backup, no option to choose data center, no free migration etc). GoDaddy has an good marketing and branding where it urges people to get an hosting account for $1/month but once you're inside, you need to buy lot of upsells.